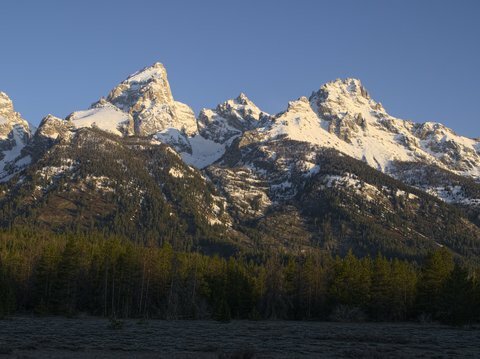 Two women mountain climbers suffered fatal 200-foot falls in Grand Teton National Park recently, putting into perspective just how dangerous such endeavors can be even on typically routine ascents. Search and rescue crews received a 911 cellphone call from Rebecca Anderson, age 26, who was apparently stranded on a ledge toward the summit of Teewinot Mountain. Her two climbing partners, Tyler Strandberg, 27, and Catherine Nix, 28, had fallen out of sight, she told dispatchers according to a press release by the National Parks Service. Crews managed to reach the two fallen climbers and determine they were deceased. They then spent about an hour reaching Anderson, who was uninjured and located in extremely difficult terrain. The final climber was pulled off the mountain using a short-hauled technique where an attending ranger and the victim are dangling from the helicopter. It was about this time that rescue crews received a second emergency call, according to the release. This one came from a 45-year-old who accidently pulled a “suitcase-sized” rock down on himself, injuring his leg, the release states. Helicopter crews managed to land and evacuate the man from the location and bring the final climber to safety. The three women were attempting to summit the East Face of Teewinot, the easiest and most common route on the mountain with a class 4.0 rating. The route is typically climbed without ropes but it does contain exposed ledges. The women were reportedly not using ropes and were looking for the route when the accident occurred.